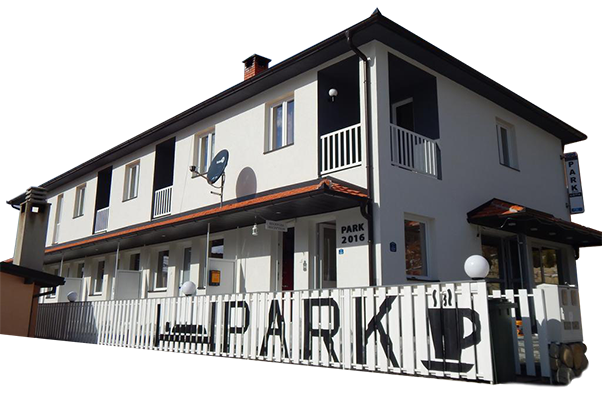 Park 2016 is a new building located in Surdulica, 300m away from the city center and 10km from the exit from the E75 highway in Vladicin Han. This is the ideal place for guests who come in Surdulica from various tourist and business reasons. Its location and excellent position, surrounded by greenery and insulated from noise makes it an ideal place for rest, peace and relaxation. Each apartment is different and designed in authentic style, with natural materials. Konstantin Veliki Airport in Nis is 76km, Alexander the Great in Skopje airport 93km and 101km Sofia in Sofia. Border crossings with Macedonia and Bulgaria are located 42 - 80km.